The Gainesville Latino Film Festival comes to Tacachale! 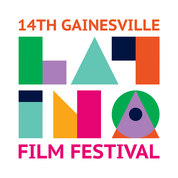 The Latina Women’s League, partner with the Agency for Persons with Disability (APD) to showcase the 14th Gainesville Latino Film Festival to the Tacachale community residents and staff. Three wonderful shorts films will be screen, produced by Caminandes: Caminandes 1: Llama Drama, Caminades 2: Gran Dillama and Camiandes 3: Llamigos. Caminandes is an independently produced short animated series, inspired by Chuck Jones cartoons.